Megan, you’ve indicated that your practice is about 65% research with kids. You are a recognized expert in this area. How did you get into it? Megan: During the Federal Trade Commission’s investigation into children and television advertising, I was part of a research team interviewing children to gauge how they perceived and processed commercials. And I discovered that I just loved talking to kids—they are fun, funny, interesting, creative, and refreshingly honest. They speak their own language—and listening and figuring out what they’re trying to tell you is sometimes like doing a puzzle. Later, I started working at a qualitative research company specializing in kid’s research and I’ve been talking to kids as research subjects ever since. What does it take to be an effective kid researcher? Megan: First and foremost, you have to really enjoy kids. If you don’t like them, kids will know it right away and it’s downhill from there. Doing research with kids requires a sense of humor and takes a great deal of patience. Kids process information differently. The language skills of a 6 year old are remarkably different from the language skills of an 8 year old. It takes them longer to evaluate ideas and articulate their opinions. If you don’t give them the time they need to answer your question, they sometimes get scared, they think you’re not really interested in hearing what they have to say, or they think you just want them to say something fast. But if you give them the time they need, what they have to say is usually worth waiting for! How else is research with kids different from adults? Megan: If the first requirement is that you should like kids, the second is that you have to understand something about how kids develop cognitively and socially. Where they are developmentally impacts everything—the methodology, the materials, the questions and techniques, what you can expect them to understand and have the language skills to explain. Rebecca: Kids also don’t have the social filters that adults do, so you never know what you might encounter when they show up for your groups. They don’t just put on a happy face if something is wrong. They could have had a bad day at school, a fight with mom in the car. They might not feel good. They could be hungry. At a social level, girls are way different from boys and as a moderator you have to pay attention to the social interactions taking place within the group. Kids in different generational groups are different. When Millennials were kids they were far different from the “little Z’s” we are talking to now. And the newest generation of kids who are now 5 and under—the Alpha Generation—will also put their own unique twist on things. By nature, though, kids are authentic and genuine. They don’t over-think things like adults do. They say what they mean—and they are brutally honest. There’s nothing quite like a group of kids that don’t like your concept or animatic to quiet the backroom. 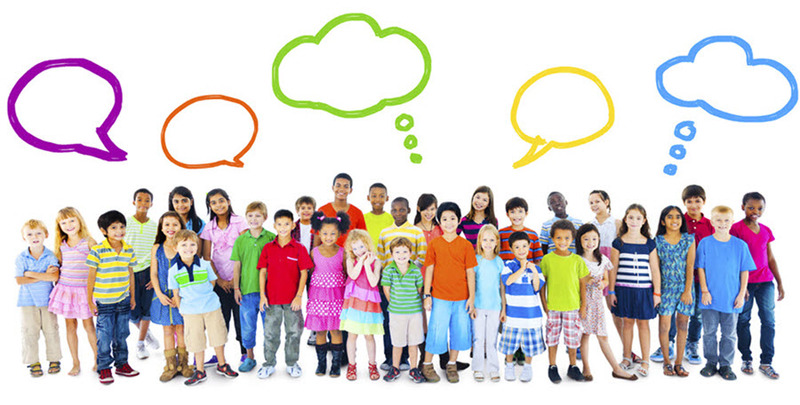 How do kids react to qualitative research? Megan: Think about the typical focus group room. Big space. Big table and conference-style chairs, that swivel and roll. And then you introduce six wiggly creatures who have been sitting at a desk at school all day and who don’t always have well-developed standards of behavior in an environment like this. So you have to work with facilities who have experience and who can be flexible enough to gear the environment to kids—like no chairs that swivel or roll! Sometimes simple things make a difference—so we ask the facility not to give kids candy or sugary beverages before the groups, to make sure kids have used the bathroom before the groups start, and to remember to bring their glasses! But we’re not always in the focus group room. We shop with kids. We go to their homes. We go to the movies or on play dates with them, eat lunch with them, ride in the car with them and moms to do the after school run-around. Among the youngest of them, we do observational work and also work interactively with mom and kid pairs. One thing that makes research with kids very different is the recruitment and screening process. We work with field facilities like L&E on a regular basis because they have specially trained project directors, staff, and recruiters who know how to talk to kids on the phone and what to listen for before inviting them to participate. We also recruit by developmental age group and, over many years of testing, have developed a set of specialized kid-recruiting techniques. Is group think a problem with kids the way it is in research with adults? Rebecca: Absolutely—and part of our job is to minimize that as much as possible. In every group, there are bound to be natural peer leaders and kids who like to follow the consensus opinion. Sometimes you get a kid who knows they are very smart and he wants everyone to think like he does. Sometimes they whisper to the kid next to them, “Pick the blue one!” But usually kids are not afraid to push back and hold on to their own thoughts and feelings. We make a big point of talking about the importance of having your own opinion and keeping it—and usually, kids take that very seriously. Do the clients you work with understand all of this about kid research? Megan: An important part of doing research with kids is working with clients to help them understand how to develop materials and present concepts to children. Our clients are terrific about going the extra mile to bring concepts almost to finished form so kids can understand them and evaluate them in as real a way as possible. Kids don’t like what they don’t understand—so it’s critical to have the right material in the room. What’s the role of Mom and Dad when you are working with kids? Megan: When you’re working with kids, you’re dealing with moms. Moms are a part of things right from the start: from the initial screening process, to getting the kid to the facility on time, to the negotiation over who gets to keep the incentive! And paying attention to parents is also a part of the job. Parents bring their own expectations and anxieties into the project. For example, when you have an adult group, and you decide to pay a couple of them the incentive and send them home, they are usually happy about that. If you decide not to include a couple of the kids in the group, the parents—sometimes more than the kids—feel rejected and want to know why you didn’t include their kid in the group! “What did they do wrong?” “Why weren’t they good enough?” Sometimes kids cry. Sometime parents get very upset in a very public way—and those dynamics can impact everyone at the facility. So to avoid that, we usually give the ‘pay and send’ kids a small task to complete before they leave and that way they feel like they have been a part of something and everyone’s happy! Rebecca: And often parents want feedback after the group or interview. They want to know how their kids did. “Did they talk enough?” “Did they have good ideas?” “Did they behave?” It’s a big deal to some parents and it’s important for us to reassure them that their kids did a good job. You have to take parental perceptions and concerns into consideration throughout the entire project. Working with kids is a package deal. What are more ways that research with kids is different from research with adults? Thank you to Megan Nerz and Rebecca Presler for their time and expertise! Want to learn more about marketing to kids? Check out the video of the workshop, "Growing Up Digital: Marketing to Kids in a Tech-Forward World", led by Megan and Rebecca at L&E's Raleigh facility on May 15, 2015.